When the grout surrounding your tile becomes grungy and discolored, it can make the entire surface of your floor look slightly off, making it seem dirty and unappealing. For the best grout cleaning in Chandler, come to Desert Tile and Grout Care. Having tile in your home or outdoor space means having to deal with the porous nature of the grout that comes with it. While mopping can take care of it for a while, grout still accumulates anything that it comes into contact with, making it discolored and overall unsavory to look at most of the time. Instead of replacing your flooring, come to Desert Tile and Grout Care for excellent grout cleaning in Chandler! As one of the most versatile types of materials, tile is perfect for any indoor or outdoor setting. Although the tile itself is simple to care for and clean, the grout that surrounds it is much different. Grout is what’s known as a porous material, meaning that it absorbs almost anything that it comes into contact with, making it difficult to clean. As most people mop their floors, this can be somewhat problematic as the grout will quickly absorb the mop water you are trying to clean it with. At Desert Tile and Grout Care, we can restore the look and appeal of your grout so it looks new and fresh! Chandler is a beautiful city in Arizona. Family friendly, modern and yet anchored in the culture of the Southwest. Adobe style homes are a common sight in these parts of the state. Another popular feature in Chandler and surrounding areas is the use of tiles as building and flooring material. Tile has been an important part of the Southwestern heritage. 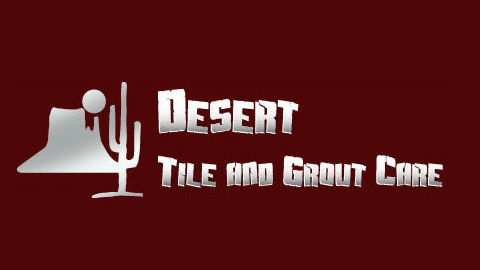 Desert Tile and Grout Care offers professional cleaning solutions for your grout! No matter if you enjoy the traditional look of Mexican Tile, also known as Saltillo, or the many options ceramic tile offers, you will enjoy how easy it is to keep clean and how well it disguises dust and sand (which is plentiful in Arizona). But even the best tile that receives the best care gets dirty eventually. And its grout even more so. If grout is not sealed by an expert, the porous material readily absorbs dirt and moisture and start looking old and ugly. 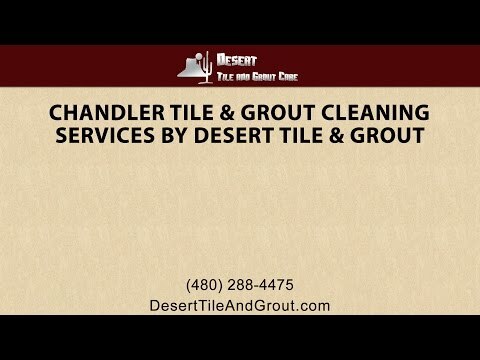 Desert Tile and Grout Care has developed a great Chandler grout cleaning system to get your dirty tile from “blah” to “ahhhh”! Chandler tile floors are pretty resistant to stains and cleaning them is generally a breeze, however if your tile is not sealed properly or at all, dirt and spills will seep into the grout and settle. Desert Tile and Grout Care can perform a Chandler grout cleaning that will remove any stains from your grout and make it look beautiful again. Only a professional grout cleaner can extract penetrating stains from your grout without damaging it. Book your Chandler Grout Deep Cleaning today. After we clean your tile, we seal it to ensure it will remain longer without ugly stains. Generally speaking, all grout should be sealed as the material itself is basically soft concrete. This explains why dirt is absorbed so easily into the grout. Additionally, unsealed grout may facilitate mold growth in bathrooms, for example. If you grout is damaged from the use of harsh cleaners or because your house is settling causing the grout to pop out of the floor, we can offer grout restoration services as well. Desert Tile and Grout Care offers professional cleaning solutions for your tile and grout. No matter if you are dealing with grout mildew in the bathroom, food stains on your kitchen grout, or outside dirt that won’t come off your hall grout, we can help. We also clean and seal counter top grout, pool deck and patio grout. If your grout is extremely stained or if you desire a new look for your tile surfaces, we can color the grout or treat it with a color sealer to give it a bold new look and make your floor look fantastic. To learn more or to schedule a consultation, contact us today!